Patron African Climate reporter, Dr yusuf Nadabo, says Sports have the power to address climate change and tackle sustainable development through inspiring, unifying and engaging millions of youths and Teenagers on various ways to protect their environment against all forms of threats to human, animals and even the aquatics world. This could be as a result of global warming, desertification, and the emergence of new diseases. 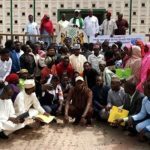 Nadabo who is also the Chairman, Governing Board of Kaduna State School of Nursing and Midwifery, Tudun Wada, called on government to embark on programs that will help low-income Nigerians manage weather-related risks with loans, hygiene education and water waste control. It was gathered that over 500 youths including little kids were sensitized at the event. 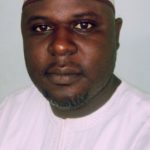 According to him, Sport play a significant role in raising awareness among youths that are residing in both rural and urban cities on the dangers of continuous cutting-down of forest trees, increasing health challenges and new environmental problems due to lack of campaigns on climate in the northern part of Nigeria. 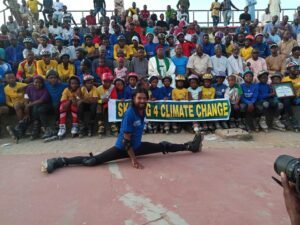 “We believed that children and teenagers love skating sport that is why we are here to educate them through their own game on the importance of protecting their environment and how they can support Government and NGOS and other stake holders on ways to fight global warming and other environmental degradation”. “We are hoping to use other games in communities like football, table tannis, volley ball, basketball to sensitize our kids on the importance of planting trees around the schools and homes, with the aims of protecting the environment”. He noted that climate change impacts negatively on nutrition, migration, and infectious diseases, saying, of the 20 top hottest years ever recorded, 16 have occurred in the last 20 years. Government, he said, must exploit new ways or measures to help Nigerians stay healthy despite floods, droughts and heat waves. Additionally, he said, heat waves and health without intervention, greenhouse gases will continue to warm up the world, pointing out that heat waves will cause a sharp increase in the rate of health-related issues like cramps, heat exhaustion, heat stroke, dehydration, blood clots, heart attack, stroke, heart failure and renal failure, among others. Dr. Nadabo explained that the health effects of climate change on human varies by age, gender, geography, and socio-economic status; pointing out that many more people will be exposed to extreme weather events over the next century than previously years. He further stressed that being healthy and involved in sports goes hand in hand with a healthy environment. 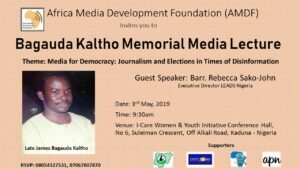 Dignitaries at the event included, Former Chairman, Nigeria Union of Journalists, (NUJ) Kaduna State Council, Sani Shuaibu Malumfashi, Director, School of Health Science Kaduna State, Nurudeen Bello, President, Peace Revival and Reconciliation Foundation, Pastor Yohannah Buru. Veteran Journalist and politician, Hau’wa Ibrahim Funtua noted with satisfaction, the importance of introducing climate change education into both primary and secondary schools across Africa. The introduction of climate change education to young children, she observed, would help in teaching kids various ways of protecting their environment. Meanwhile, Dr Piman Hoffman who is the Assistant Director African Climate Reporters says, “We need lower emissions on motor vehicles. “We need more alternative fuel vehicles, clean sources of energy. “We need to offer incentives to people to make the changes that need to be made especially women and children in the communities. “We need to get the word out and we need to make more people aware that climate change is not a future problem, it’s a current problem,” he concludes.